Last month on Instagram, Nina Dobrev, popular for starring as Elena Gilbert on The CW’s hit show The Vampire Diaries, announced that she would be leaving her character behind after six seasons. 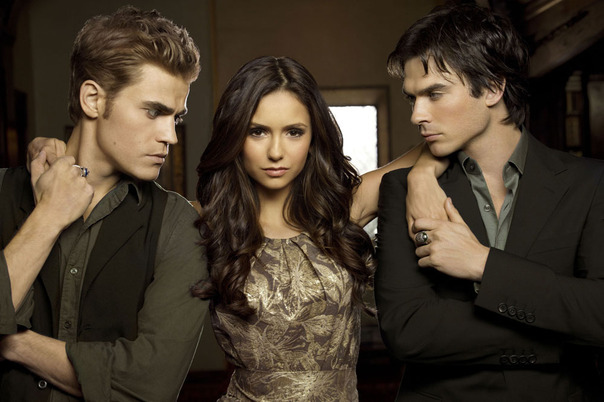 Nina Dobrev poses with her The Vampire Diaries cast mates, Paul Wesley and Ian Somerhalder, in a photo from season 6. She went on to explain how wonderful her fan support had been throughout her time with the show, and how there was much more to come before she wrapped up on the season six finale. The Vampire Diaries airs Thursday nights at 8 p.m. on the CW, and the season finale is sure to be bittersweet for fans everywhere.